Is your VDI project still stuck in the early stages of deployment, or has it failed to gain user adoption? It might be time to speed things up. 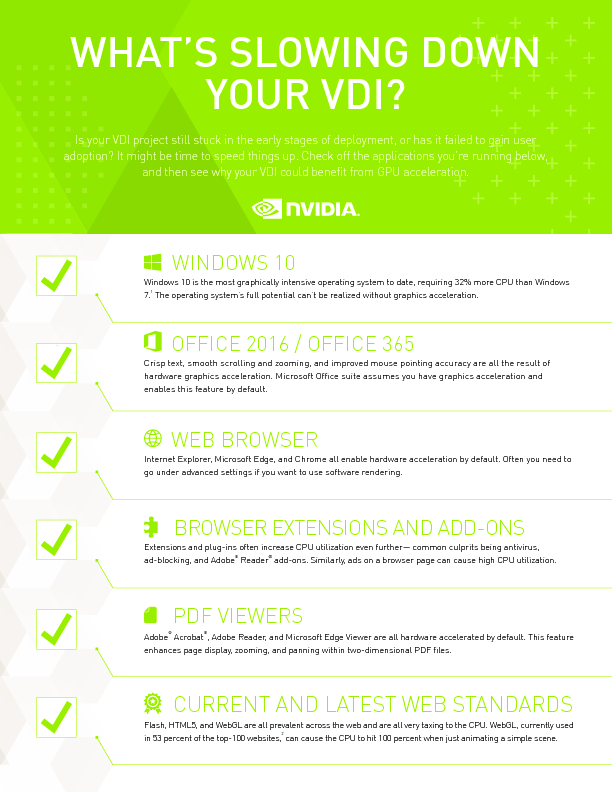 Check off the applications you’re running, and then see why your VDI could beneﬁt from GPU acceleration.